With this ceramic eyeglass tray you will never misplace your fashion eye ware again. 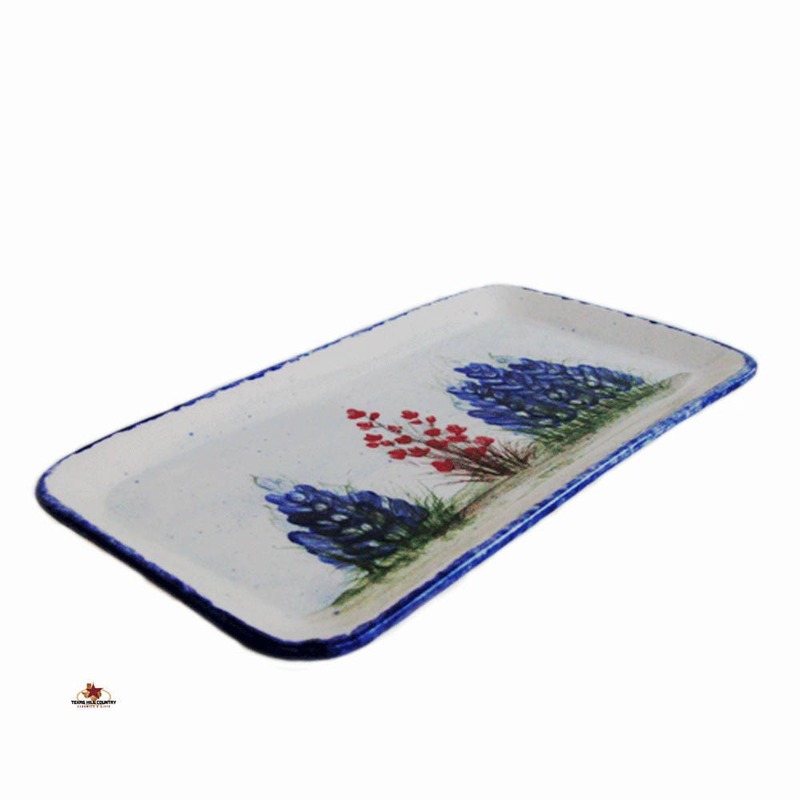 This ceramic eyeglass tray is finished with hand painted Texas Bluebonnet Wildflowers. 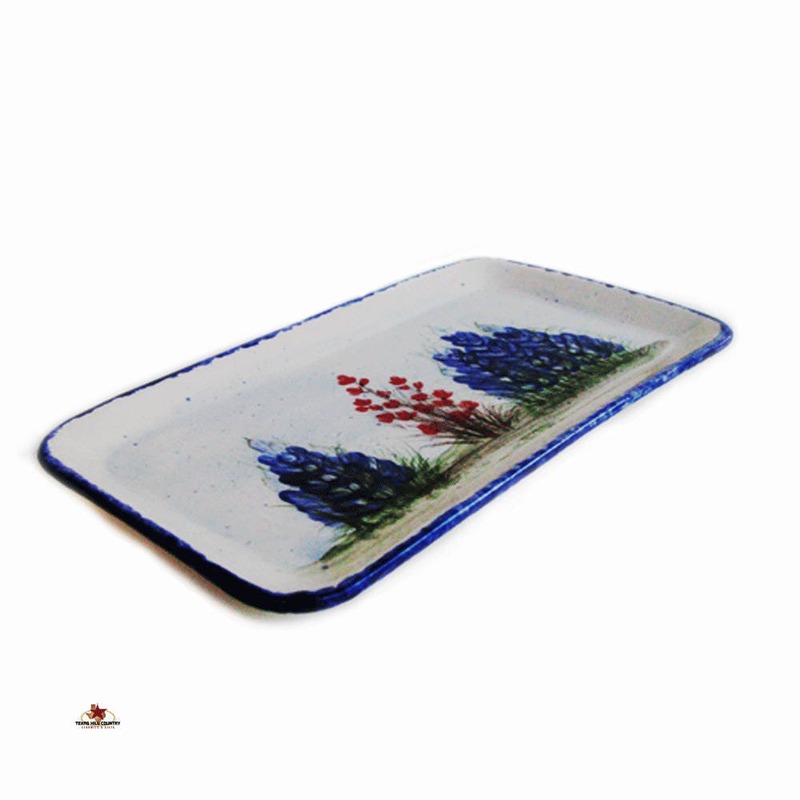 This ceramic tray rectangle in shape and ideal to help keep your eyeglasses handy at home or the office. 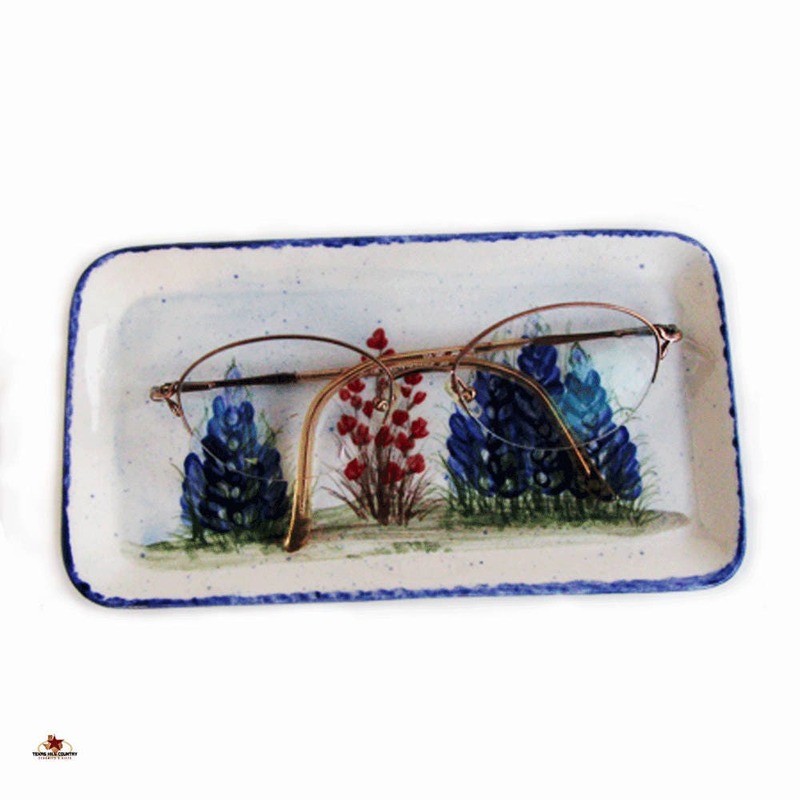 This eyeglass tray is made of kiln fired domestic ceramics. 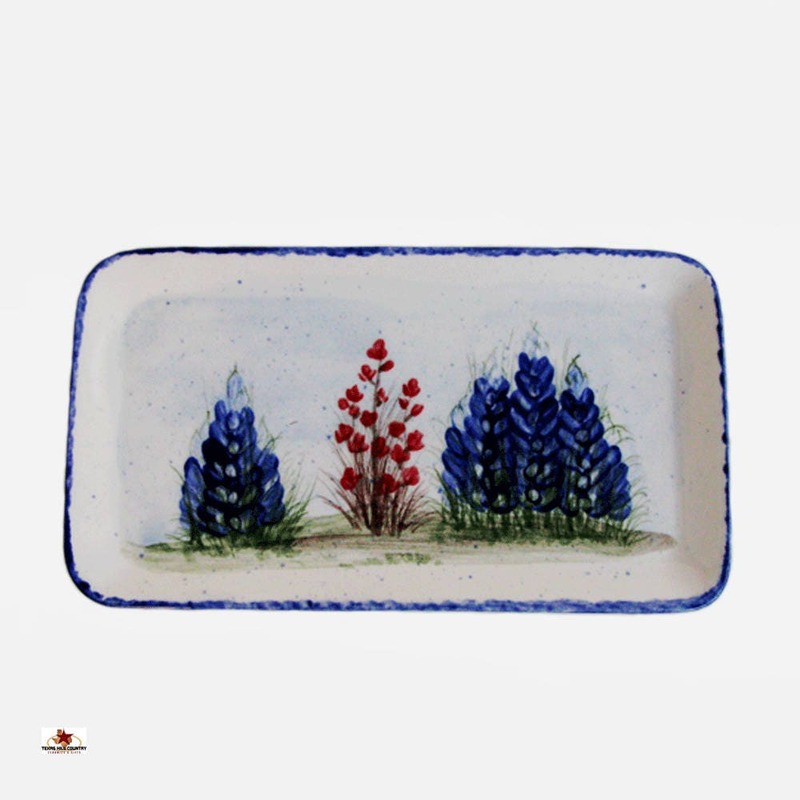 The Texas Bluebonnet wildflowers are from my original design called Field of Bluebonnets. It is glazed in its entirety for easy care. This eye glasses tray with its easy rectangle styling will safely hold eyeglasses on a table next to your favorite chair, night stand or desk top. Finally, a special place for those eye glasses you are always wondering where you set them down! Ceramics eyeglass or eye ware storage holders are a thoughtful and personal gift for Mom, Dad, a siblings, grandparents or for a special friend in your life.